Poverty is certainly a big curse in the modern times…. but we have to fight it out by all means. We would jointly take up the big challenge lying in our front for the very cause of eradicating misery suffered by millions of people world over. The Millennium Development Goals call for reducing the proportion of people living on less than US$1 a day to half the 1990 level by 2015: from 28.3 per cent of all people in low and middle income economies to 14.2 per cent. The goals also call for halving the proportion of people who suffer from hunger between 1990 and 2015. Almost two thirds of the world’s population lives in Asia. Some 4 billion people are scattered throughout rural areas or crowded into towns and cities on a land area of almost 45 million km2, roughly 17 per cent of the world’s surface. The region has a highly varied range of climatic and agro-ecological zones. Large areas have been affected by degradation over the past 50 years. Drier areas are particularly vulnerable, and 39 per cent of the region’s population lives in areas prone to drought and desertification. 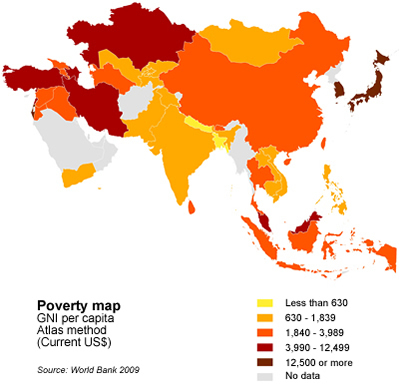 Poverty in Asia is a massive problem. Reducing poverty for huge numbers of poor people there is crucial to achieving the primary Millennium Development Goal of halving poverty by 2015. More than two thirds of the world’s poor people live in Asia, and nearly half of them are in Southern Asia. Poverty is basically a rural problem in Asia: In the major countries, 80 to 90 per cent of poor people live in rural areas. While Eastern Asia and South-Eastern Asia have made impressive progress in reducing rural poverty over the past three decades, progress has been limited in Southern Asia. And the tsunami that recently struck the region will be taking a toll for years to come in Indonesia, Maldives, Sri Lanka and Thailand. Despite wide-ranging diversities in the region, many poor rural people in Asia share a number of economic, demographic and social characteristics, the most common of which is landlessness or limited access to land. 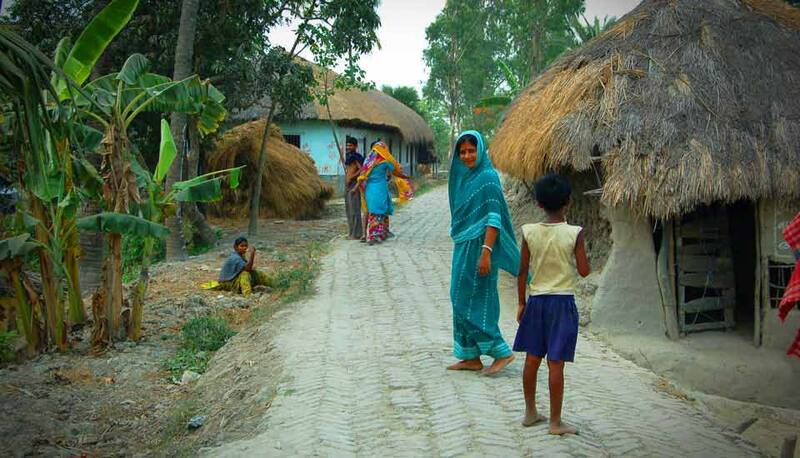 Poor rural households tend to have larger families, less education and higher underemployment. They also lack basic amenities such as a safe water supply, sanitation and electricity. Their access to credit, equipment and technology is severely limited. Other constraints – including the lack of market information, business and negotiating experience and collective organizations – deprive them of the power to compete on equal terms in the marketplace. In all busy, public places like railway stations you will find them –very old and destitute people begging or simply wandering around. Have you spared a thought as to how they survive how do they get food and shelter for the cold nights? 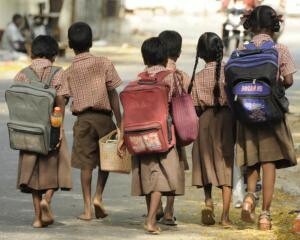 Most sleep in pavements and survive on alms, neglected by their family. If a poor and destitute old person is provided at least one wholesome meal in a day, she has a chance to face the challenges of her hard life. Seruds has conducted surveys around Kurnool and identified many such elders who need help. Most are homeless, or live in huts but do have means to cook. 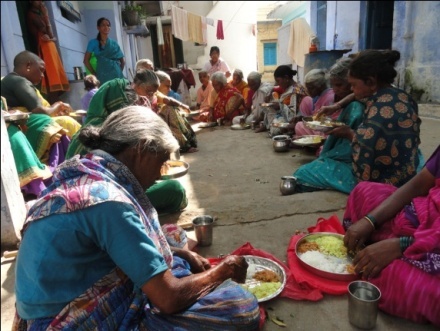 Under this program, with our limited resources, we provide nutritious midday meals to 30 poor old people from slums in Budhavarapeta, Kurnool, Andhra Pradesh every day. Word about this program has spread, and people of Kurnool come forward to celebrate their children’s birthdays, wedding anniversaries or occasions with these destitute old persons by arranging special meals, or distributing stuff like clothes. • You may choose to sponsor mid-day meals for one month, or any amount you desire. • Donate meals to poor elderly people on behalf of some one, birthday gift, on the occasion of wedding anniversary, ceremony of some one. |As said earlier that, poverty is indeed a very big curse in the modern times…. but together we can positively alliviate much of the pain of the people in distress. So, please come forward and make some small efforts towards joining hands with our most humble but highly ambitious Organisation dedicated for the cause of eradicating the unbearable miseries of the millions who suffer every single day of their lives without food, clothings and shelter of any kind. Definition: National estimates of the percentage of the population falling below the poverty line are based on surveys of sub-groups, with the results weighted by the number of people in each group. 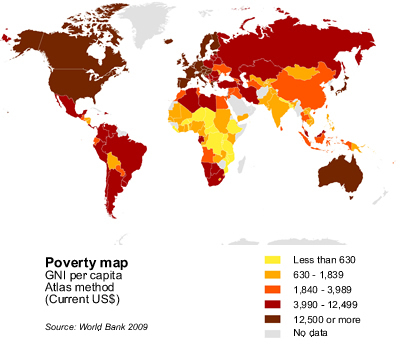 Definitions of poverty vary considerably among nations. For example, rich nations generally employ more generous standards of poverty than poor nations.